The wind blew down on a harsh ground on a summer’s day as a form appeared in a figurative landscape, constantly scouring for inspiration. This intrepid explorer could make Bear Grylls look like an agoraphobic curtain-straightener and make a tumble-drier salesman’s head spin even more. He trundled over a fractured environment where light and colour play in a beatific manner, encountering a man on a balcony, a pyramid of skulls, and a woman riding a horsey in the near distance as well as sights of personal interest. The show is a collection of figurative-abstract works inspired with people, modern commuters that are travelling to work in and around London and will be focusing on people, travel, mood, juxtaposed shapes and lines. The artist’s was born in Croatia and now lives in London, which creates an interesting and liminal perspective that makes his studies of everyday people entirely justifiable. 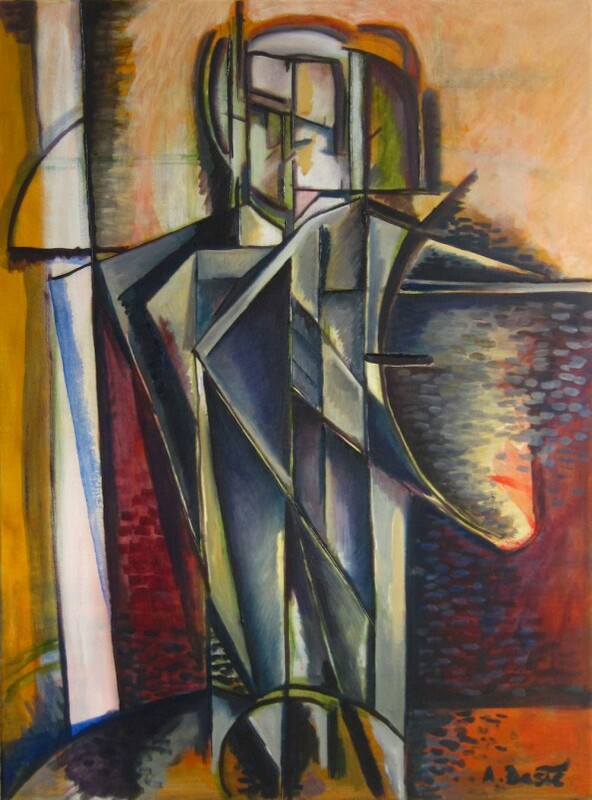 Aleksandar’s cultural and personal interests led him at the beginning through post-Impressionism and Cubism to form new language of semi-abstract art combining forms and colours on an instinctive level. The theme for the exhibition is really about commuters, travelling to work emerging from a gloomy, uncertain, weathered streets but one can begin to understand the importance of this imagery. The juxtaposed images are appropriate as they carry greater information for the situation at present as it’s complex and puzzling. Of course, the show also deals with the subject of interviews, with The Interview and The Interview II. The meanings behind these pieces are topical as well as creative and give light to Basic’s personal transformation. Inspiration for these works was the beginning of the world economic crisis and my personal difficulty to get a full-time employment. First Londoner work was completed just before my moving to live in London. With initial idea of the Interview I pursued to develop the theme even further. The collection grew not at the speed that I wanted as my creative process can take time. When creating artwork, I am not thinking about the style but rather what I want to achieve. I am interested in ‘how things work’ and I investigate this in different aspects of form, shape, light and colour. It is part of the struggle that makes work become alive but that is not always what happens. Occasionally, work will presents itself in one go, easily, just flowing out of the brush. This can be really surprising and kind of a revelation moment. That is something that can really complete me. The Londoner and the Interview shows how the artists has melded personal, emotional, and cultural experiences in a city far different from his place of birth. 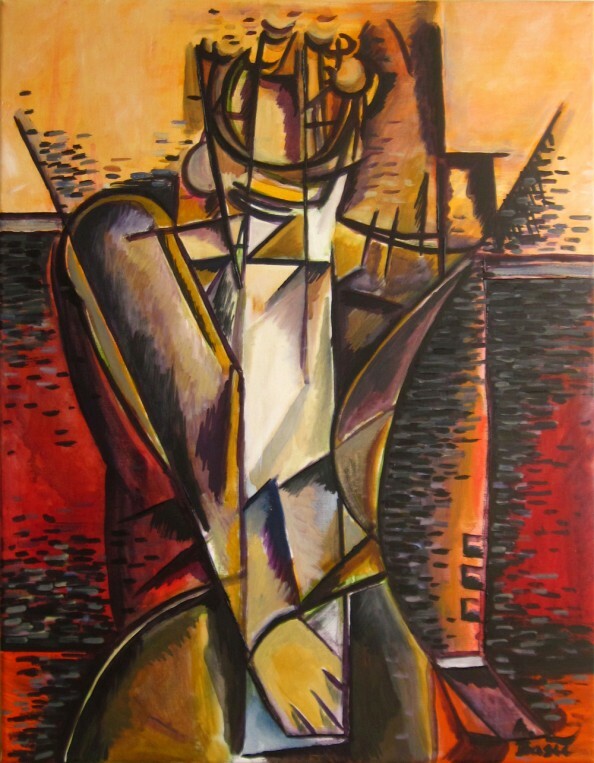 This creates a style that isn’t derivative of the work of Georges Braque, Paul Cezanne, Jean Metzinger, and Albert Gleizes amongst others. One can only hope that Basic and other artists in his position can hold hands together against an era of increasingly highly commodified artwork. 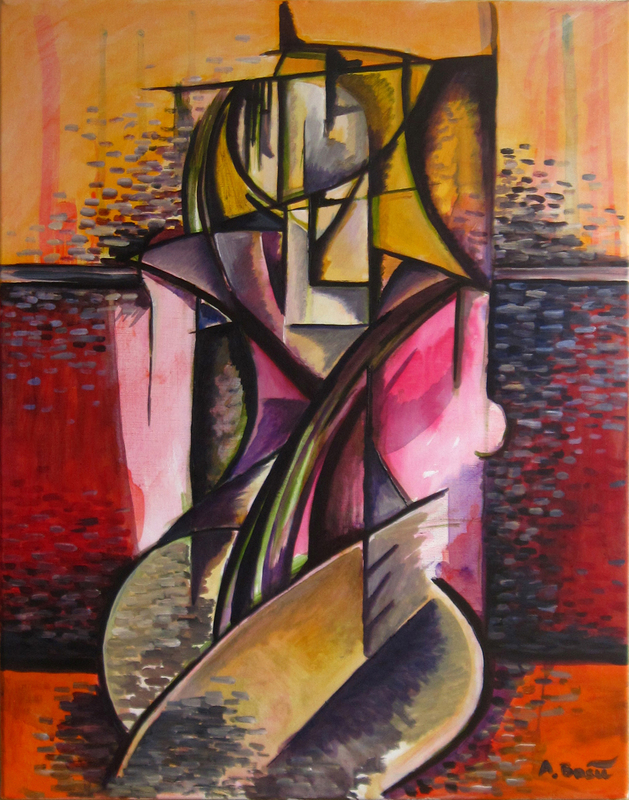 Aleksandar’s works can be admired in person by visiting his exhibition.